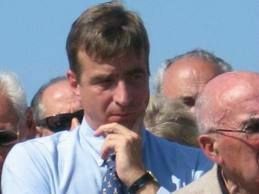 JEAN CHARLES RÉDÉLÉ PRÉSIDENT DIRECTEUR GÉNÉRAL DU GROUPE RÉDÉLÉ. A LA DEMANDE DE JEAN CHARLES RÉDÉLÉ PRÉSIDENT DIRECTEUR GÉNÉRAL DU GOUPE RÉDÉLÉ, ET ALPINE TEAM MANAGER 2013. VOICI L'HISTOIRE DE JEAN VINATIER. 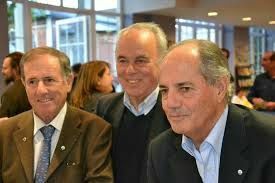 JEAN VINATIER, JEAN RAGNOTTI, A. SERPAGGI. 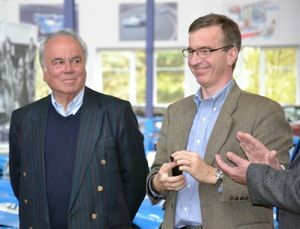 JEAN VINATIER, PILOTE INDISSOCIABLE DE L'HISTOIRE DE LA MARQUE ALPINE, BAIGNE DANS LE MILIEU DE LA COURSE AUTOMOBILE DEPUIS SA PLUS TENDRE ENFANCE. SON PÈRE EST GARAGISTE ET PILOTE, MÊME SA MÈRE S'ILLUSTRE DANS PLUSIEURS ÉPREUVES, COMMENT PEUT-IL EN ÊTRE AUTREMENT DE LA DESCENDANCE. JEAN VINATIER COMMENCE DÈS LES ANNÉES 50 À PILOTER SUR 4 CV 1063 ET COCH A 106. JEAN VINATIER OBTIENT SA LICENCE DE PILOTE UN AN APRÈS SON PERMIS DE CONDUIRE, DELAI LÉGAL À CETTE ÉPOQUE, IL FAIT SES PREMIERS PAS EN COMPÉTITION, SEUL AU VOLANT D'UNE BARQUETTE 2 CV CITROËN, À L'OCCASION DU BOL D'OR QUI SE DÉROULAIT À MONTLHÉRY ET TERMINE ÉREINTÉ APRÈS 24 HEURES DE COURSE. EN 1953, IL EFFECTUE UN TOUR D'AFRIQUE DE 4000 KM QU'IL ACCOMPLIT EN SIX MOIS AVEC TROIS 2 CV. A PEINE REVENU DE CE TERRIBLE MARATHON, IL PRÉPARE UNE 4 CV 1063 POUR S'ENGAGER AU TOUR DE BELGIQUE AVEC SON COPILOTE ET SPONSOR YVON PLISSON. JEAN RÉDÉLÉ TOUTE UNE LÉGENDE. PAR UN PUR HASARD DANS UN GARAGE DE LIÈGE, L'ÉQUIPAGE RENCONTRE JEAN RÉDÉLÉ ET SON A 106. LE COUP DE FOUDRE EST IMMÉDIAT. 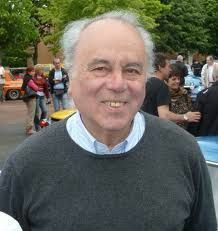 YVON PLISSON COMMANDE AUSSITÔT UNE ALPINE. 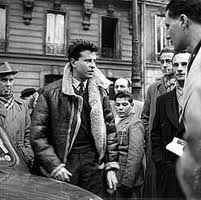 UN MOIS PLUS TARD L'AUTO EST ENGAGÉE AUX MILLE MILES, 1956, MAIS YVON PLISSON NE SOUHAITE PAS PRENDRE LE DÉPART.C'EST DONC JEAN VINATIER QUI PART SEUL, AU VOLANT D'UNE A 106 FLAMBANT NEUVE VERSION COMPÉTITION 750 CM3 BOÎTE 5 VITESSES. L'AVENTURE SE TERMINE PEUT AVANT ROME SUR RUPTURE D'UNE SOUPAPE. L'AUTO DISPUTE ÉGALEMENT DEUX AUTRES COURSES, LE TOUR DE BELGIQUE ET LES 12 HEURES DE REIMS, IL RÉCIDIVE AUX MILLE MILES POUR L'ÉDITION 1957 EN PRÉPARANT LUI-MÊMESON MOTEUR CHEZ MARC MIGNOTET ET FINIT CETTE FOIS À LA 5e PLACE DE SA CATÉGORIE, À 111 KM/H DE MOYENNE, CE QUI CONSTITUE UN VÉRITABLE EXPLOIT. 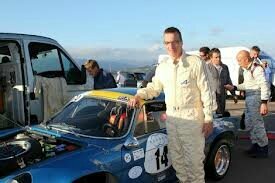 A PARTIR DE 1964 ANNÉE D'ENTRÉE OFFICIELLE CHEZ ALPINE, JEAN VINATIER TOUCHE À TOUTES LES DISCIPLINES. SES PARTICIPATIONS AUX COURSES D'ENDURANCE MARQUÉE PAR L'ABSENCE DE RÉSULTAT L'AMÉNENT À UN SENTIMENT DE FRUSTRATION, MÊME SI PAR AILLEURS IL APPRECIE LA BONNE AMBIANCE QUI RÉGNE AU SEIN DE L'ÉQUIPE, EN PARTICULIER AVEC LES MÉCANICIENS. L'ANNÉE SUIVANTE, SUR UNE ALPINE F2, IL GAGNE LES COURSES DE CÔTE DE CHAMROUSSE, D'URCY DU MONT DORÉ ET DES ANDELYS. IL TÂTE ÉGALEMENT AUX COMPÉTITIONS SPRINT SUR CIRCUIT, MAIS C'EST LE RALLYE QUI LE MOTIVE VRAIMENT. EN 1967, LE SERVICE COMPÉTITION SE STRUCTURE AVEC L'ARRIVÉE DE JACQUES CHEINISSE. LES MÉCANICIENS SONT ENTIÈREMENT DÉVOUÉS AUX PILOTES ET LES PETITES BOMBES BLEUES ÉVOLUENT DONC DANS LES MEILLEURS CONDITIONS. JEAN VINATIER SE SOUVIENT DU FAMEUX LYON CHARBONNIÈRES : LE DÉPART ÉTAIT À STUTTGART ET LA POLICE SERVAIT D'UN SONOMÈTRE D'UN AUTRE TEMPS AVEC UN PAVILLON STYLE LA VOIX DE SON MAÎTRE. NOS BERLINETTES COMME LES VOITURES DE BEAUCOUP D'AUTRES CONCURRENTS, NE RÉPONDAIENT PAS AUX NORMES EN VIGUEUR ET APRÈS DE LONGUES PALABRES INFRUCTUEUSES, QUELQU'UN DE NOTRE ÉQUIPE, DONT JE NE CITERAI PAS LE NOM, LANÇA UN PÉTARD DANS L'ORIFICE BÉANT DU SONOMÈTRE, l'EFFET FUT IMMÉDIAT : L'AIGUILLE DU CADRAN ALLA SE PULVÉRISER SUR LA BUTÉE. ALPINE A 110 JEAN RÉDÉLÉ. MALGÉ CETTE DISTINCTION, JEAN VINATIER CHÉRIT TOUT PARTICULIÈREMENT UNE ÉPREUVE QU'IL JUGE MERVEILLEUSE, LA COUPE DES ALPES. CELLE-CI LE LUI REND BIEN PUISQU'IL S'Y IMPOSE TROIS ANNÉES CONSÉCUTIVES, EN 1968, 1969, ET 1971 AUX COMMANDES D'UNE A 110 JEAN RÉDÉLÉ. A LA PREMIÈRE ÉDITION, IL GAGNE AVEC 15 MN D'AVANCE SUR L'ALFA ROMÉO DE BARAILLER ET FAVEL, À LA SECONDE DEVANT DEUX AUTRES BERLINETTES ET À LA TROISIÈME, IL REÇOIT LA COUPE D'OR, UNECOUPE HONORIFIQUE UNIQUEMENT OFFERTE À UN TRIPLE VAINQUEUR. 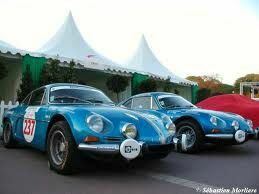 ALPINE A 110 JEAN ET JEAN CHARLES RÉDÉLÉ. 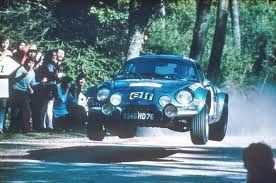 EN 1969 JEAN VINATIER SE PREPARE AU TOUR DE CORSE AVEC UNE NE TOUTE NOUVELLE A110 1600 QU'IL A DÉJÀ TESTÉ LORS DU RALLYE DE LORRAINE. EN CE DÉBUT DE RALLYE, SUR L'ILE DE BEAUTÉ, LE MOTEUR DE DE L'AUTO RATATOUILLE, MARCHÉ CORRECTEMENT PARFOIS, PUIS RATATOUILLE DE NOUVEAU, CE QU'IL LUI VAUT DE FAIRE UN " TOIT" À LA SORTIE D'UNE ÉPINGLE. 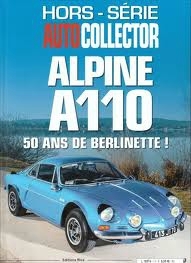 CE SONT DES SPECTATEURS QUI REMETTENT L'ALPINE SUR SES ROUES ET IL REPART, LE MORS AUX DENTS. A BASTIA, L'ASSISTANCE RÉGLE LA BERLINETTE, ET C'EST UNE VOITURE TRANSFIGURÉE QUI GAGNE LA DERNIÈRE SPÉCIALE. POURTANT FAVORABLE AUX GROS MOTEURS, CELLE DU CÉLÉBRE COL DE TARTAVELLO. ALPINE JEAN ET JEAN CHARLES RÉDÉLÉ. 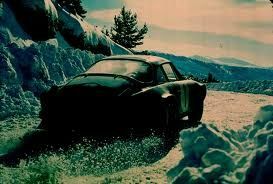 TOUJOURS EN 1969, MAIS CETTE FOIS EN PILOTANT UNE 1300 S, IL TERMINE LE RALLYE DE MONTE-CARLO SUR LA TROISIÈME MARCHE DU PODIUM, APRÈS UNE BAGARRE DANTESQUE LIVRÉE AU CLAN PORSCHE. AU RALLYE DE SAN-REMO 1970. 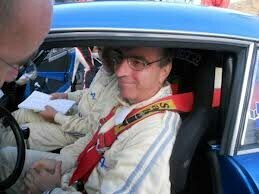 JEAN VINATIER ASSURE UNE PLACE À ALPINE DERRIÈRE LA BERLINETTE DE JEAN-LUC TERRIER, VICTORIEUX, ET LA LANCIA DE KALLSTROM, JEAN VINATIER PARTICIPE ENCORE SIX MOIS À L'ÉPOPÉE ALPINE ET DEVIENT, EN JUILLET, LE DIRECTEUR SPORTIF DE FORD FRANCE,CARRIÈRE QU'IL POURSUIT JUSQU'EN 1976, DATE À LAQUELLE IL AIDE SA MÈRE À DIRIGER LE GARAGE FAMILIAL. JEAN CHARLES RÉDÉLÉ TOUR DE CORSE. 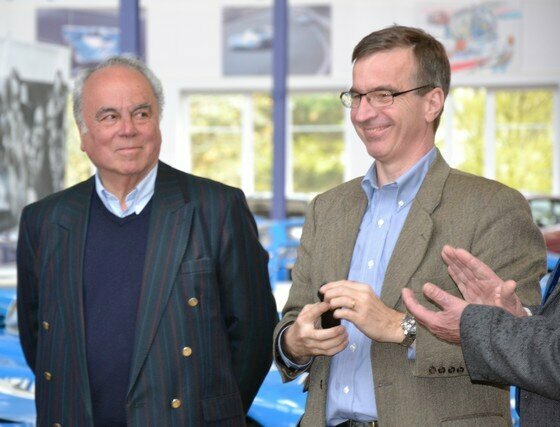 NOMMÉE DIRECTEUR SPORTIF DE FIAT FRANCE EN 1977, IL RETROUVE LES PILOTES JEAN CLAUDE ANDRUET, MICHEL MOUTON ET FRANCIS VINCENT, QU'IL A CONNU CHEZ ALPINE. EN 1982 IL CONTINUE AVEC LA MÊME FONCTION, MAIS CETTE FOIS CHEZ LADA FRANCE. 1987 MARQUE SON ENTRÉE À LA FÉDÉRATION FRANÇAISE DU SPORT AUTOMOBILE ( FFSA ) EN TEMPS QUE RESPONSABLE TECHNIQUE ET CHARGÉ DE MISSION SÉCURITÉ AUNSI QUE DÉLÉGUÉ TECHNIQUE À LA FÉDÉRATION INTERNATIONALE AUTOMOBILE. 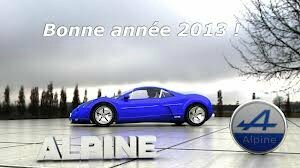 ( FIA) SUR LES COURSES GT. 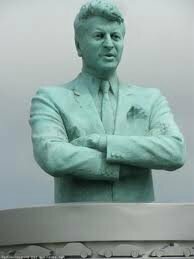 CHÂPEAU L'ARTISTE!!!!!!!!!!. NOM: VINATIER. PRÉNOM JEAN. DATE DE NAISSANCE 25 NOVEMBRE 1933 LIEU DE NAISSANCE IVRY/SEINE 94. PACOURS SCOLAIRE ENP ( ÉCOLE NATIONALE PROFESSIONNELLE PARIS). PREMIÈRE PROFESSION MÉCANICIEN. 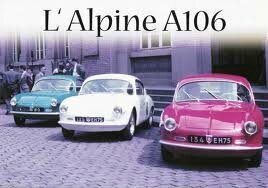 DATE D'ENTRÉE CHEZ ALPINE 1964. CONDITION D'ENTRÉE CHEZ ALPINE PAR RELATION. CESSATION D'ACTIVITÉ 1971. FONCTION ACTUELLE : FIA DÉLÉGUÉ TECHNIQUE. ALPINE JEAN ET JEAN CHARLES RÉDÉLÉ 50 ANS DE BERLINETTE. 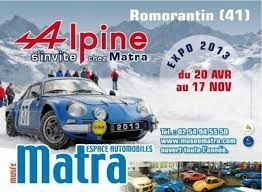 EXPO ALPINE MATRA JEAN ET JEAN CHARLES RÉDÉLÉ. 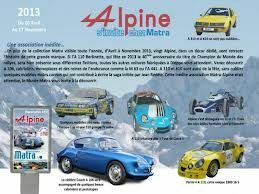 JEAN CHARLES RÉDÉLÉ LANCE L'EXPO ALPINE MATRA. 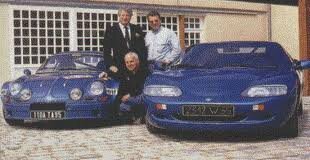 HOMMAGE À JEAN RÉDÉLÉ LE FONDATEUR DE LA MARQUE ALPINE. JEAN CHARLES RÉDÉLÉ ALPINE TEAM MANAGER 2013. 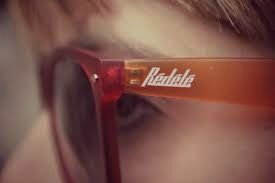 ALESSIA MILANESE SUNGLASSES RÉDÉLÉ. JOIN ALESSIA ON CHILICOOL.COM. MES SINCÈRES REMERCIEMENT À JEAN CHARLES RÉDÉLÉ NOTRE PRÉSIDENT DIRECTEUR GÉNÉRAL DU GROUPE RÉDÉLÉ DE M'AVOIR PERMIS DE RÉALISER CET ARTICLE SUR JEAN VINATIER AVEC SA COLLABORATION, C'EST CELA LE TRAVAIL D'ÉQUIPE. JEAN CHARLES RÉDÉLÉ EST UN PRÉSIDENT DES TEMPS MODERNES. ALBERT FATI RESPONSABLE STRATÉGIE COMMERCIALE RENAULT RÉDÉLÉ. 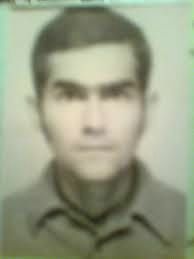 VOUS POUVEZ ME JOINDRE AU 06.75.37.38.22. OU SUR T. NOTRE SITE GOOGLE: JEAN CHARLES REDELE, JEAN REDELE, JEAN REDELE MELUN, JEAN REDELE LEMEE SUR SEINE CENTRE DACIA, JEAN REDELE BRIE, NOVOCAR REDELE LEMEE SUR SEINE, JEAN REDELE LEVALLOIS, ZOÉ REDELE, BICORPS, ALPINE ET DES HOMMES. T. LES TEXTES SONT DES CRÉATION J.C.R. ET AF POUR LE GROUPE RÉDÉLÉ.